Toronto police have recovered a video of Rob Ford that the chief says is consistent with the video reported by the media — an apparent reference to the alleged video of the mayor smoking crack cocaine that Ford has denied exists. 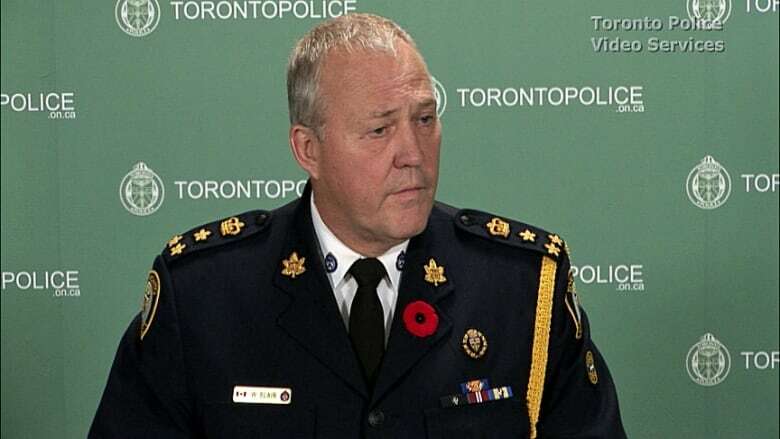 "As a result of the evidence that was seized on June 13, [2013,] at the conclusion of Project Traveller, a number of electronic devices, computers, telephones and hard drives were seized and all of the devices that have been seized have been subject to forensic review and examination by members of the Toronto Police Service intelligence unit computer technology section. "On October the 29th, on Tuesday of this week, we received information from our computer technology section that in the examination of a hard drive that had been seized on June 13, they were able to identify a number of files that had been deleted and that they were able to recover those files. "As a result, I have been advised that we are now in possession of a recovered digital video file relevant to the investigations that have been conducted. "That file contains video images which appear to be those images which were previously reported in the press with respect to events that took place, we believe at a house on Windsor Road in Etobicoke." The police chief then said that video is part of evidence that relates to an extortion charge that has been laid against Alexander Lisi, a friend and occasional driver of Ford. Lisi is known as Alexander in court documents, but Sandro or Alessandro around city hall. Following the press conference, police issued a news release indicating that the 35-year-old Lisi is facing a single count of extortion. Blair said the accused was due to appear in a Toronto court on Thursday. Asked if the mayor had been interviewed by police during their investigation, Blair said: "I do not believe so, I believe that we have interviewed quite a number of people who over the course of that investigation, but that interview has not yet taken place." While Blair did not directly say what was on the video in question, he confirmed to reporters that Ford appears in it. "I think it’s fair to say that the mayor does appear in that video, but I’m not going to get into the detail of what activity is depicted on that video," Blair said. When asked whether he was shocked by the video, Blair said: "I'm disappointed." Reports emerged this year on the U.S. gossip website Gawker and in the Toronto Star that someone had been shopping a video that allegedly showed Ford smoking crack cocaine. But the alleged video never came to light, and Ford denied using crack as well as the video’s existence.